This is a developing story and was updated March 24 at 6:30 p.m. Stay with the Times Free Press as more information becomes available. "Obamacare is a terrible law and has put further stress on our already fragile healthcare system. "When the American Healthcare Act was introduced I made it clear that the legislation was not perfect, but was instead a step in the right direction. Although the bill has been pulled, I remain committed to repealing Obamacare and focusing on patient-centered reforms." "The House decision today not to vote changes nothing about the urgency of rescuing 230,000 Tennesseans who buy insurance on Obamacare exchanges that our state insurance commissioner has said 'are very near collapse.' Unless Congress and the President act soon, these Tennesseans—some of the most vulnerable citizens in our state—are likely to have zero choices of insurance in 2018. Millions of Americans in other states are facing the same dire circumstances. Congress has a responsibility to continue its work to solve this problem and to give more Americans more choices of lower-cost health insurance." 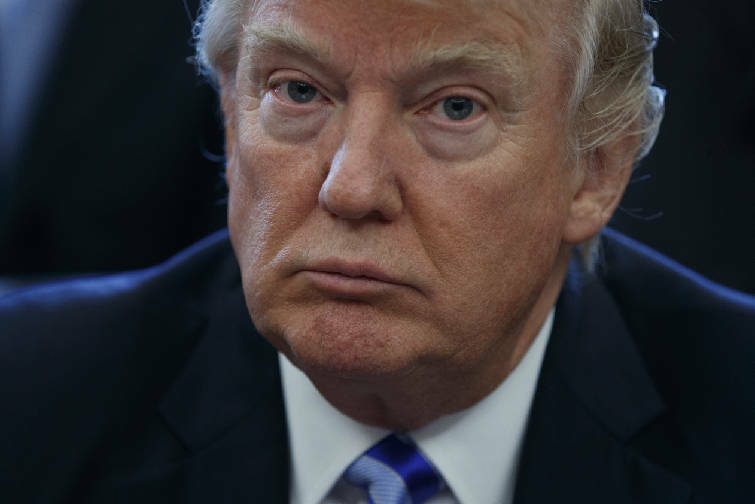 UPDATE: WASHINGTON — In a humiliating failure, President Donald Trump and GOP leaders pulled their bill to repeal "Obamacare" off the House floor Friday when it became clear it would fail badly — after seven years of nonstop railing against the law. Democrats said Americans can "breathe a sigh of relief." Trump said the current law was imploding "and soon will explode." 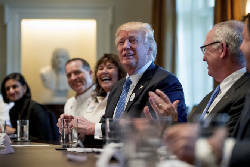 He "never said repeal and replace it in 64 days," a dejected but still combative Trump said at the White House, though he repeatedly shouted during the presidential campaign that it was going down on Day One of his term. 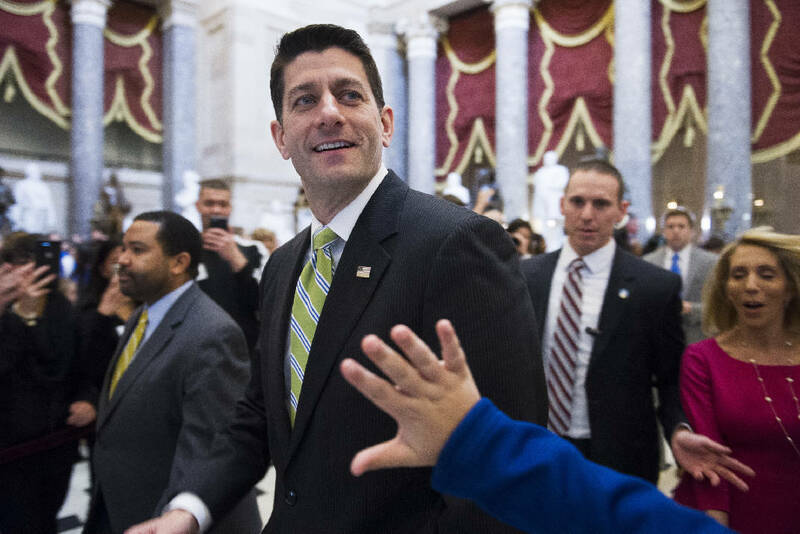 Ryan made his announcement to lawmakers at a very brief meeting, he was greeted by a standing ovation in recognition of the support he still enjoys from many lawmakers. The White House is no longer expressing confidence that the upcoming House vote on health care will be successful. Instead, spokesman Sean Spicer says President Donald Trump is confident that the White House has done "every single thing possible" to corral the 216 votes needed to pass legislation to repeal the Obama-era health care law. House lawmakers and aides say the bill is short of support before the vote Trump insists be held. The White House says it expects that vote at 3:30 p.m., as scheduled. WASHINGTON — Republicans' long-promised effort to repeal and replace "Obamacare" was in serious trouble Friday ahead of a do-or-die vote demanded by President Donald Trump. Short of support, Speaker Paul Ryan met with Trump at the White House to discuss how to go forward. The outcome was uncertain, the atmosphere charged. Trump had insisted that the vote take place on Friday after it was delayed the day before in an embarrassing setback. But the bill lost support rather than gained it as the day wore on. Failure would be humiliating for the president, the self-proclaimed master deal-maker, and for Ryan on their first major legislative outing, and a huge setback for a Republican Party that has campaigned for seven years on promises to undo former President Barack Obama's landmark law. The path ahead on other priorities, such as overhauling the tax code, would grow dramatically more daunting. Trump would be weakened politically, a big early congressional defeat adding to the continuing inquiries into his presidential campaign's Russia connections and his unfounded wiretapping allegations against Obama. Congressman Rodney Frelinghuysen of New Jersey, chairman of a major committee, Appropriations, announced his opposition, saying the bill would raise costs unacceptably on his constituents. So did Rep. Barbara Comstock of Virginia, a key moderate Republican, and GOP Rep. David Joyce of Ohio. GOP Rep. Mark Amodei of Nevada said he was hearing from health professionals in his home state that the bill would not help his state. He planned to vote "no," and remarked that there were numerous rank-and-file lawmakers like him, who normally vote with leadership, whose positions were unknown. "Depending on how they break, it's like this might not even be close," Amodei said. "I'm not predicting anything but that's how I'm looking at it," he said, brushing off the possibility that Trump, who won his district, might campaign against him or seek political retribution. "I'm taking my refuge in the impacts on my district in Nevada," Amodei said. The GOP bill would eliminate the Obama statute's unpopular fines on people who do not obtain coverage and would also remove the often-generous subsidies for those who purchase insurance. Republican tax credits would be based on age, not income like Obama's, and the tax boosts Obama imposed on higher-earning people and health care companies would be repealed. The bill would end Obama's Medicaid expansion and trim future federal financing for the federal-state program, letting states impose work requirements on some of the 70 million beneficiaries. The nonpartisan Congressional Budget Office said the Republican bill would result in 24 million additional uninsured people in a decade and lead to higher out-of-pocket medical costs for many lower-income and people just shy of age 65 when they would become eligible for Medicare. The bill would block federal payments for a year to Planned Parenthood. Rep. Mark Walker, head of the conservative Republican Study Committee, was a supporter of the legislation who like others in his camp was frustrated with the holdouts. "These guys have to come to terms that this is our moment to repeal and replace Obamacare. Seven years we've promised it and today is showtime," Walker said. "We have not discussed a plan B." But Rep. Mark Meadows of North Carolina, leader of a key bloc of conservatives, the House Freedom Caucus, was tight-lipped as the day wore on. Numerous GOP leaders said much was riding on the Freedom Caucus and its two or three dozen votes after the group extracted concessions to now eliminate requirements from Obama's law to cover certain "essential health benefits" including maternity care and substance abuse programs. Friday's fast-paced developments came after Trump and administration officials delivered an ultimatum to House Republicans late Thursday, telling them to vote Friday and then move on, regardless of the outcome. If the vote failed, Obamacare would stay in place, they said. "We'll see what happens," Trump said Friday when asked his course should the measure fail. Despite reports of backbiting by administration officials aimed at Ryan, White House press secretary Sean Spicer said that the "speaker has done everything he can. You can't force people to vote." "There's no question we have left everything on the field," Spicer said. Trump targeted the Freedom Caucus in an early-morning tweet. "The irony is that the Freedom Caucus, which is very pro-life and against Planned Parenthood, allows P.P. to continue if they stop this plan!" Trump wrote. Republicans could lose only 22 votes in the face of united Democratic opposition. A tally by The Associated Press found at least 34 "no" votes, but the figure was fluctuating amid frantic GOP lobbying. For one opponent, Rep. Paul Gosar, R-Ariz., Trump's declaration that Friday was the GOP's last shot at repealing Obama's statute seemed to inspire only defiance. "We're the legislative body last I looked, not the president," Gosar said.